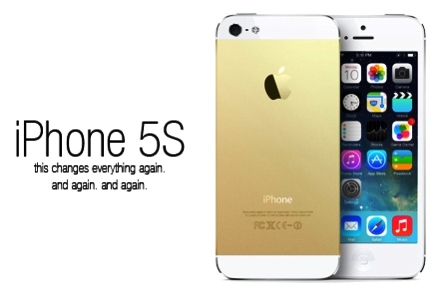 Apple Unveils Champagne Gold iPhone 5S: Now Official! Are you tired of classic color? Always black and white out of the box, and your only option is to buy another cover to match your preferences, and by doing that, your only increasing the thickness and weight of your iPhone. Lets not be too subjective, since everyone wants that iPhone no matter what the color is (like me ^_^). The new design will cover a fine color with a few centimeter margin on bottom and top. Maintaining the sleek design, iPhone 5S has also been rumored to include a Dual LED flash feature and 128GB internal storage.. The third color Champagne Gold will surely be a big hit in the market, after all why not carry a gold in your pocket. Apple iPhone 5S Champagne Gold changes everything again, and again, and again. The iPhone 5S, together with iPhone 5C has been set to be release this September 10, 2013.